I had the pleasure of creating two cakes this last week for the Bella Bash (two nights in a row). The first night we served the middle layer, so I replaced that layer the second night! 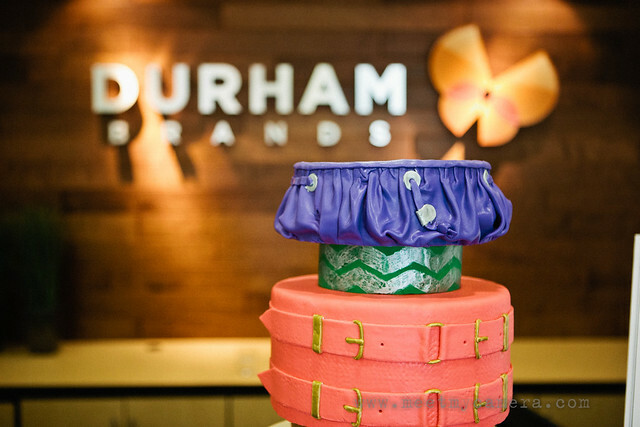 The GNO was at the Durham brands offices (they make the Kaboo Bags, Imaginisce and Kiddie Clips). I was given the freedom to create whatever I wanted so I debated what to create. I thought about carving a purse shapped cake, but it wouldn’t serve enough people. 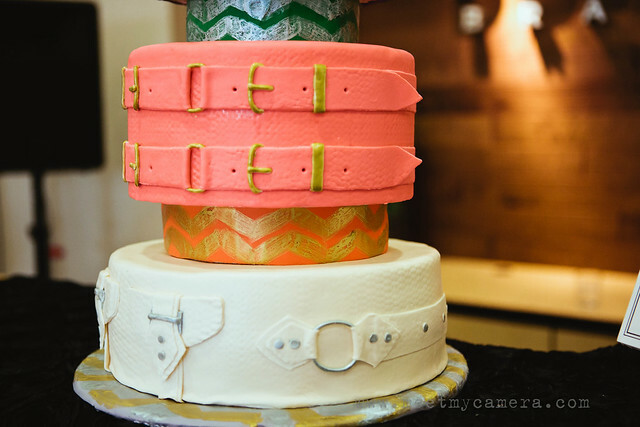 I decided instead to do a large cake featuring different aspects of the purses, especially the NEW line! 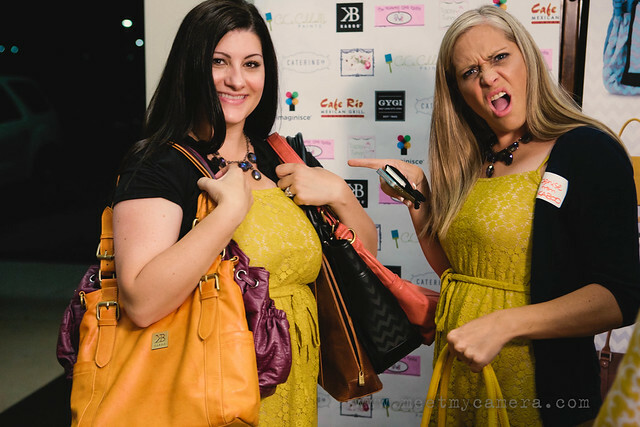 Molly, from Fleur de bee, who was the brains behind the evening, and Denise, from Kaboo bags, are showing off the new line here (October)! Aren’t they cute? See the new Purple Olivia? That was the inspiration for the top layer. I got the color wrong, too blue purple, not pink purple enough. 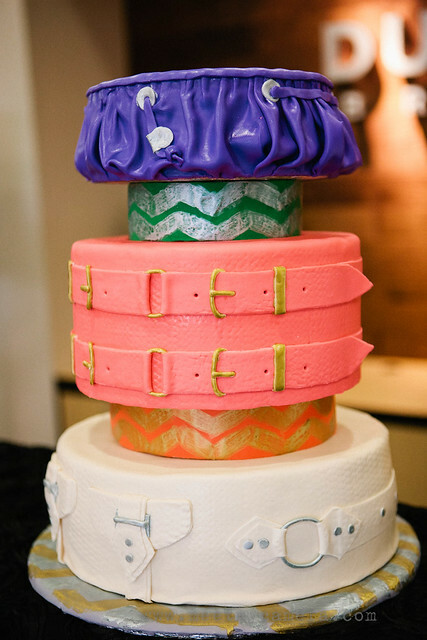 It’s my only regret the whole cake… But I wanted to feature the ruffled slouched drawstring pocket. This was my first time trying this ruffled effect around the layer, I think it turned out well! Here is the new Stella, I love the buckles!!! The pink coral color is GORGEOUS, and the orange is going to be SO popular! So I decided to use it for the middle tier. 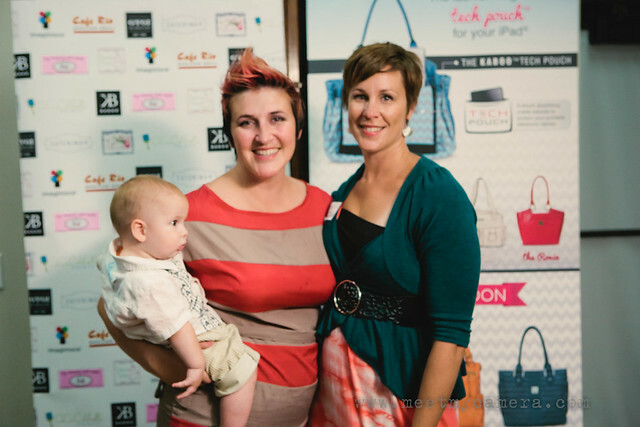 And for the bottom, largest tier I decided to use MY favorite (and my purse) the Riley in Pearl! 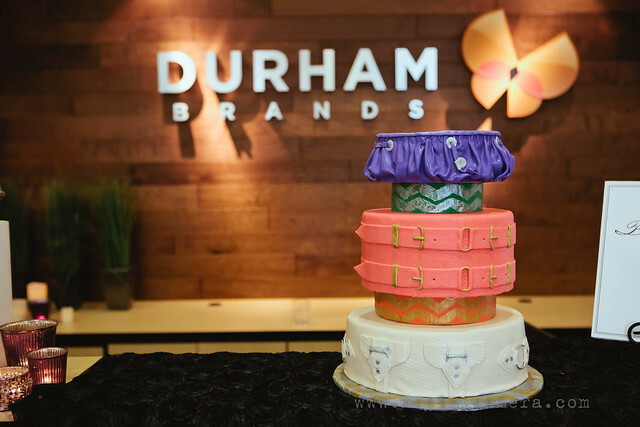 Here it’s being modeled by the wife of the President of Durham brands! Can you imagine how fun it would be to work for this guy? so I choose to focus on the buckles for the Stella, but for the Riley I did both the pocket details as well as the straps! When it was time to serve cake I just took each layer off and started cutting! People always ask me if it’s hard to cut into my own creations! It isn’t actually, it’s kind of FUN! 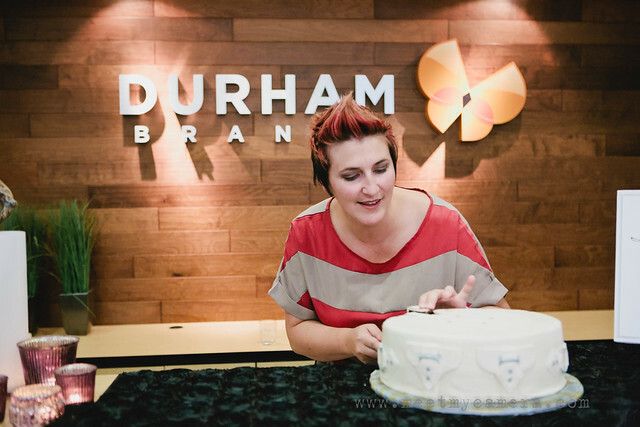 It’s especially fun when people don’t know it’s cake and are surprised when I cut into it! I put a poll on Facebook asking what flavors people wanted that night so I made my Chocolate cake for the largest layer, and my 2nd favorite, my cinnamon chocolate chip! We sized it perfectly and every slice was taken by the end of the night! a HUGE shout out and thank you to my friend Kris, from Meet My Camera for being our official photographer for the night! She is SO talented and fun to work with! It was great seeing her again! 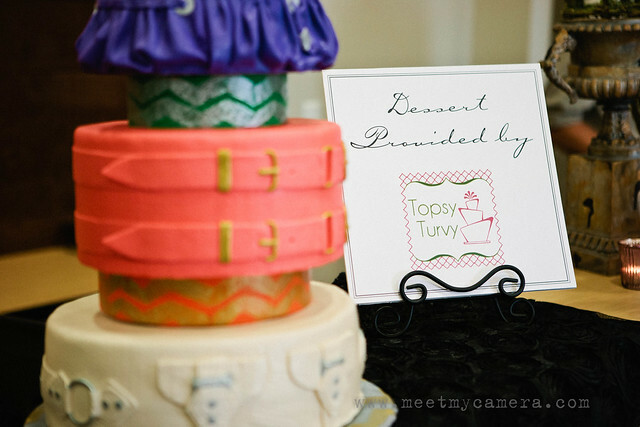 And thank you to Gygi’s for helping me sponsor the event by giving us a discount on supplies for the party, including the fondant and cream cheese filling (that was SO popular) that I used in the cake! 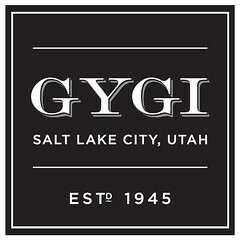 Gygi’s is my go to shop for all things cake, party, candy, etc… And even if you don’t live here you can order online! That cake was seriously to die for! So yummy! Thanks so much!!! I love making pretty cakes, but I love it even more when people like how they taste!!! cause really that’s the point- a good cake! I also loved all of the fun elements to it! So pretty. Thanks Designing the cake is half the fun! Thanks so much! Next time you come into town we’ll have to make a point of view cake! Loved loved the way the cake turned out. It was hard to not eat a piece as Im participating in a “sugar shut out” for the month of August. Sigh. Hopefully I’ll get to try a piece of one of your fabulous cakes in the future! i’m so sorry you couldn’t eat any! I could NEVER do a sugar fast… It’s the largest part of MY food pyramid 😉 but I totally understand! 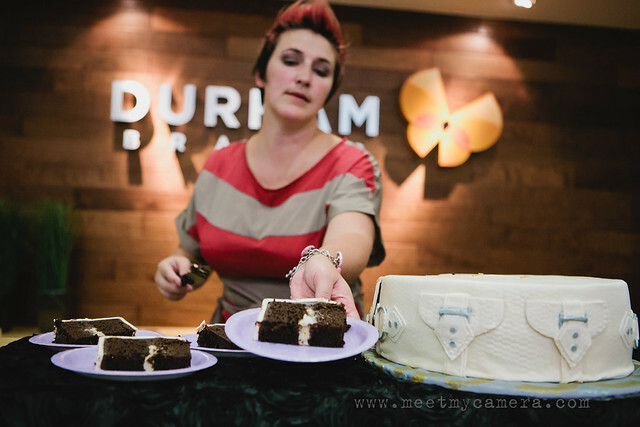 I’m sure we’ll be at another event that calls for cake together before too long! Your cake was beautiful! I absolutely loved it. What a super fun night. Thanks so much! I’m so glad you could come, and I hope you had a GREAT time! hope to see you at more events in the future! P/S: I want that Purple Olivia!!! LOVE! GORGEOUS, right? that color is to DIE for! I wish I had known what a pretty magenta/purple it was! Thank you SO much! It was super fun to make. you are so crazy talented! amazing!!! thanks! I love doing it, it’s so much fun! 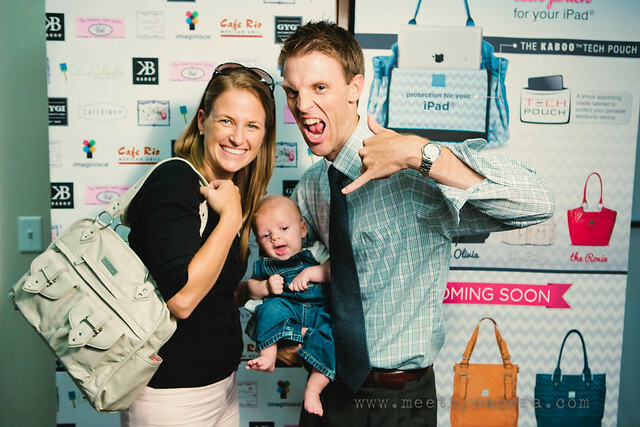 Next I need one of your amazing bags! It’s on my to get list before conferences next year! I am SO excited for the new fall line… look for a giveaway in the fall!!! Wow Ashlee!! Your cakes are always just amazing and this one is no exception!! I LOVE it!! 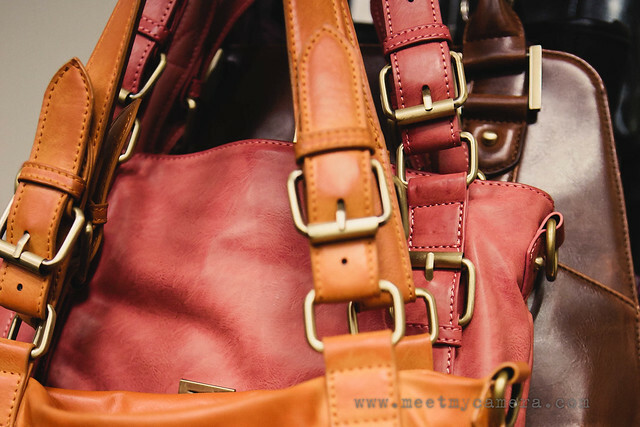 The bags are just gorgeous too – they have such great styles and colors! Thank you so much! I wish you had been there! Next time! your SO welcome! I can’t wait to do another event with you! I’m so excited for you, and can’t wait to see what the next few weeks bring! Thank you SO much! I appreciate it! I love creating them!